With a high standard of musicianship and a touch of humour the band will provide first class entertainment. The music is drawn mainly from popular composers and date from a period of between 1900 and 1950 in a Traditional style along with numbers from the swing era including Sinatra type compositions. The Band is available for hire at very competitive rates. Depending on the type of venue, the band can work in several different configurations from trio or quartet for small intimate situations where a quiet intimate atmosphere is needed through to a quintet or sextet where more traditional style upbeat music is the order of the day. 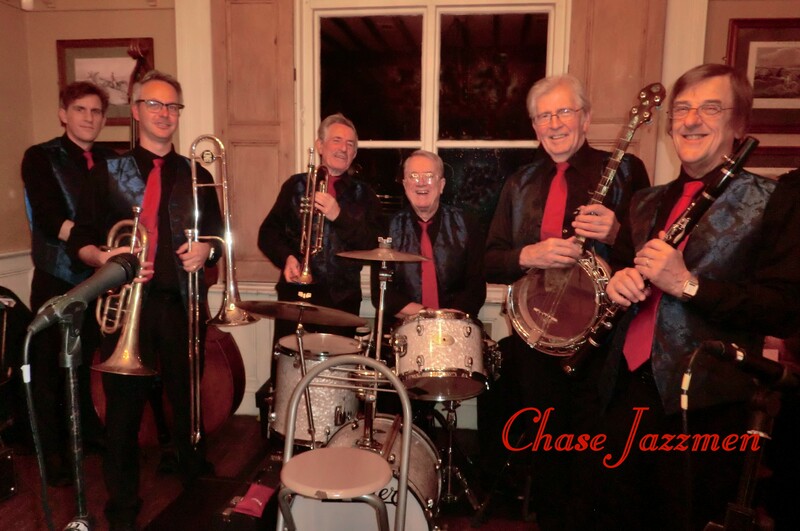 Welcome to the Chase Jazzmen web site.